This is the first study to report the effectiveness of carbon ion beams alone or in combination with cisplatin in targeting MM CSCs in vitro. “This study may provide information for the development of new treatment strategies for this refractory cancer,” wrote the team. 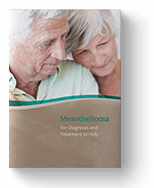 If you have been diagnosed with mesothelioma, talk your doctor about clinical trials for innovative new therapies that have the potential to treat your specific type of mesothelioma. At any given time, there are hundreds to thousands of clinical trials at underway at varying phases. Talk to your doctor about participating in a clinical trial today. Sai, Sei, and Masao Suzuki. "Effects of Carbon Ion Beam Alone or in Combination with Cisplatin on Malignant Mesothelioma Cells in Vitro." Oncotarget. Impact Journals, 13 Mar. 2018. Web. 24 Apr. 2018.